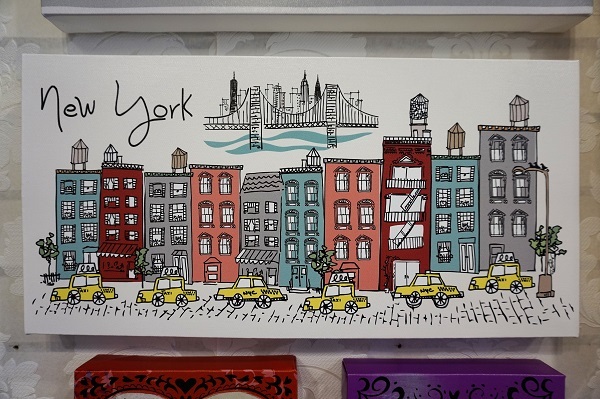 If you want to buy souvenirs of your trip to New York, you can go to Times Square, Chinatown or Little Italy. You will see that everything looks the same everywhere. Cocoblues is different, all objects have an original drawing and design. It is a place not to be missed! ├ What to find in Cocoblues? 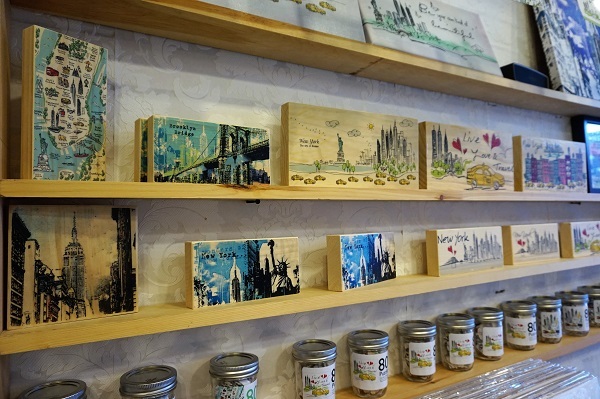 After working in the home goods and apparel industry for about 20 years, W. Ping decided to create her own brand of souvenirs representing the life and monuments of her city, New York City. At first she sold her products on the market with her husband. Then his loyal customers encouraged her to open her own shop. It is now in the heart of Little Italy. Why Cocoblues? This name is the fusion of the name of her dog, Coco, and Blues, her favorite style of music. What to find in Cocoblues? You will find a great variety of objects with unique drawings of New York City and illustrations on any type of material (paper, wood...). Bracelets and watches but I did not take any photos! 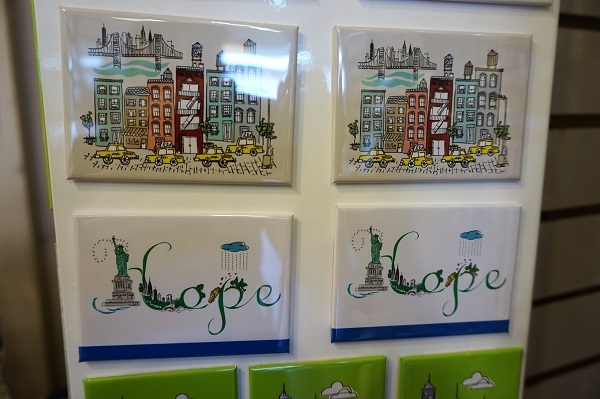 Magnets starts from $2. Cards and small posters cost $12 and 2 for $20. The bracelets are starting at $4 and $6. 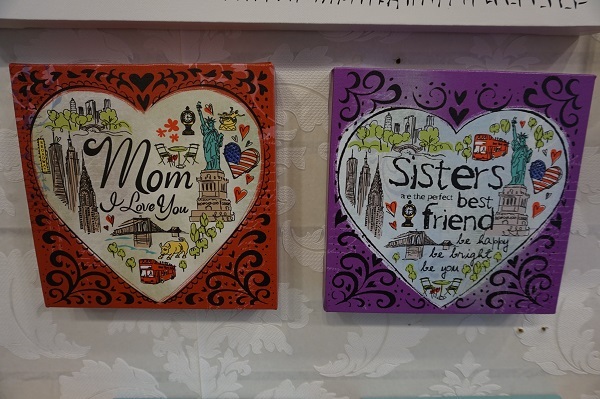 It will be difficult to leave Cocoblues without a gift for your friends and family ... or for yourself! You know the products are nice and cheap. But they are also environmentally friendly. 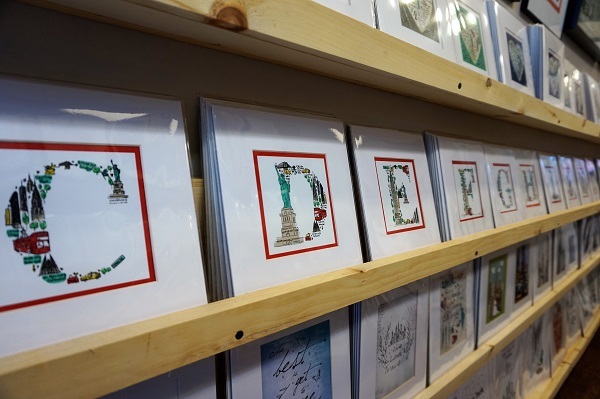 The printed items are made in the United States, and some objects are homemade. 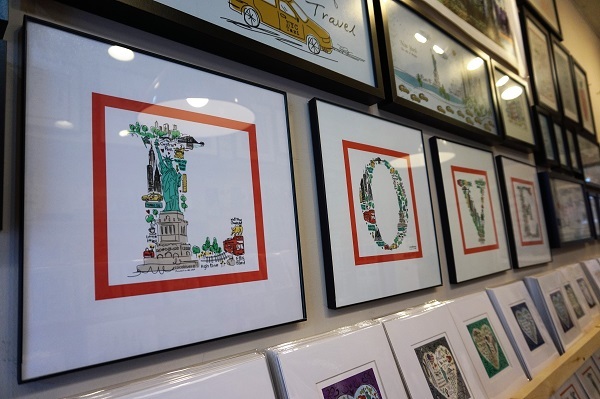 The store is located in the heart of Little Italy, a little lost among the other gift shops and restaurants. Little Italy is a small neighborhood in Manhattan, full of surprises like Cocoblues. 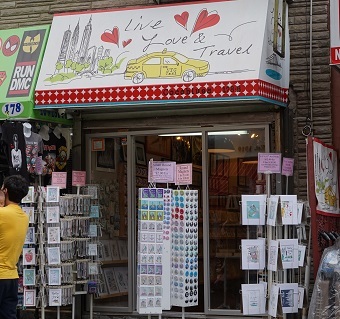 In fact do not look for the name of the store (barely visible) but the yellow taxi and the slogan "Live, Love & Travel". A perfect philosophy, don’t you think? 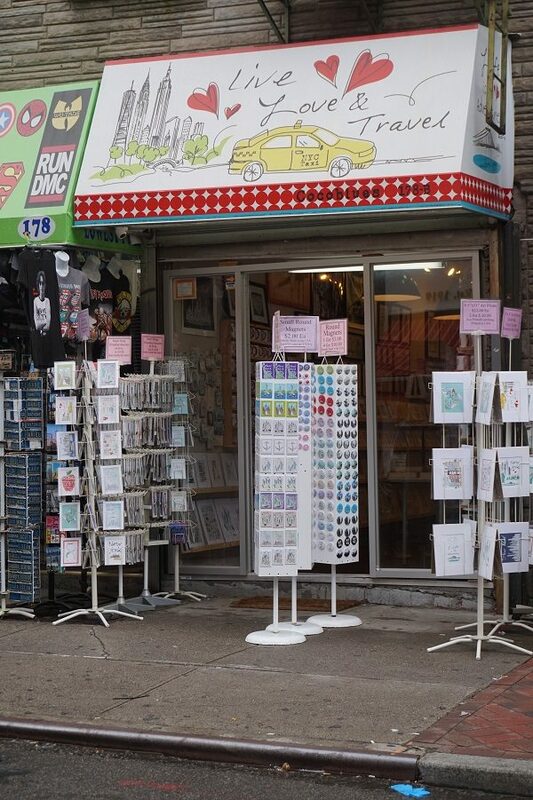 2 responses to the post : " Cocoblues, an original souvenir shop in Little Italy "
Hi, I went and bought some souvenirs on Monday, but I want more, is there a way to purchase online?? I don't think so... They only have a Facebook page for the moment.